Cats are noted for being well-groomed animals. As such, they have the tendency to groom each other when siblings are around. 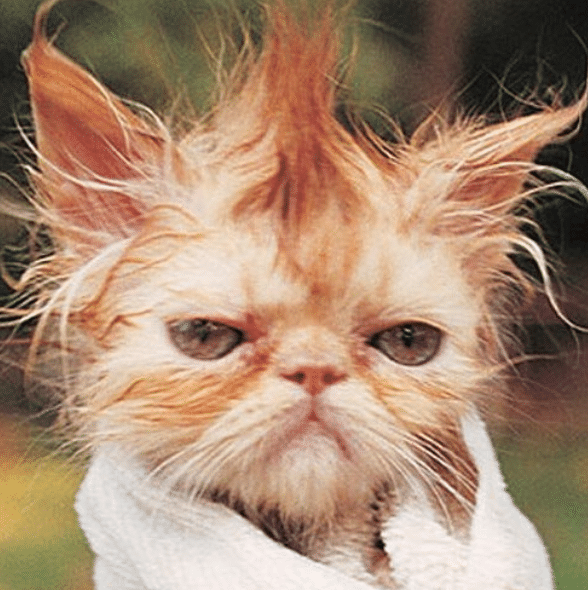 Subsequently, cats that do self-grooming are only enough for those with short hair that typically resides indoors. But, long haired cats that roam around outside the neighborhood often needs regular and proper grooming. 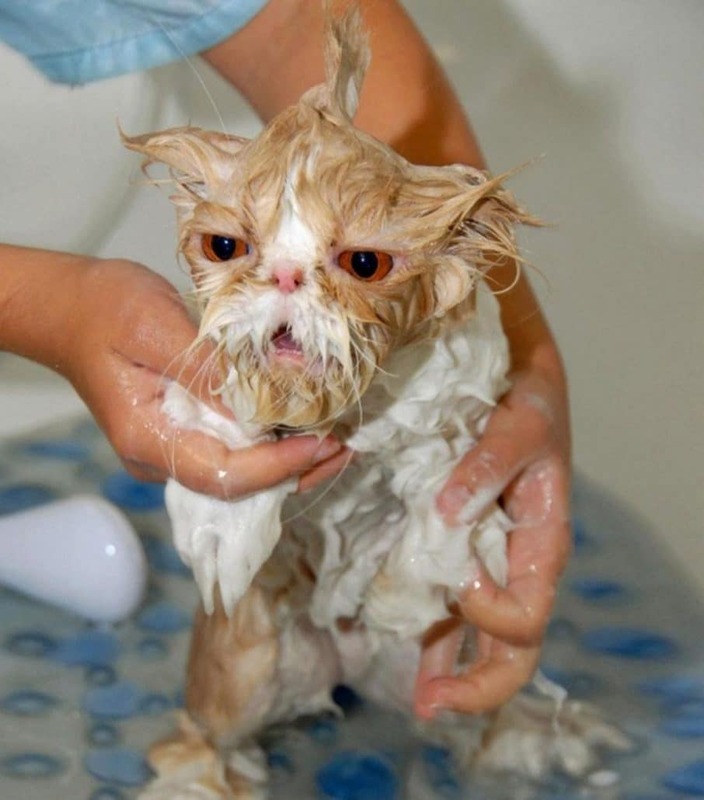 Cat baths is among the many steps in grooming your beloved cats. 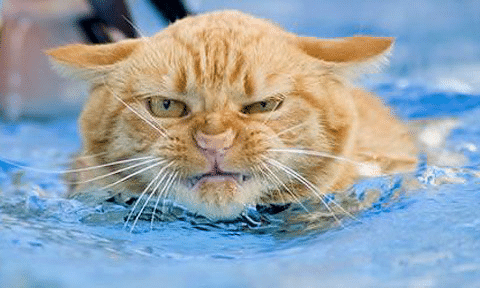 Most of the domestic cats don’t love the water. For them, they prefer to groom themselves on their own. Yes, cats love to lick themselves making them clean. However, cleaning and bathing cats on their own doesn’t have too many positive results. So, cat owners have their own prerogative of bathing them. But in reality they face a hard time when their cat requires a calming and soothing bath time. It’s one tough challenge that if not being done carefully might end up having scars and bites. 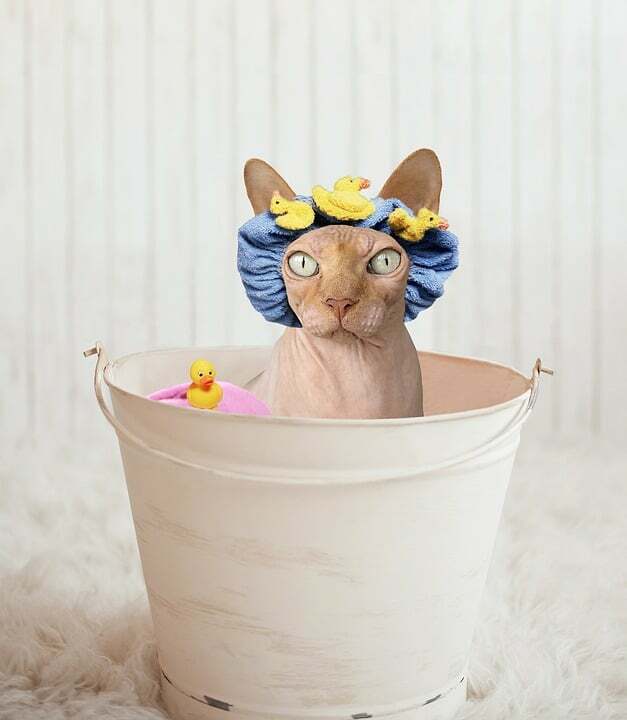 Take a quick look at how these cat bathing moments, the good and the hard will inspire you. The face says it all. Mouth seems to call for help and eyes wide open as if asking for forgiveness. Too cute but might as well be shouting to stop the bathing. Those round yellow and black eyes resembles a relaxed bathing session with the lovely cat. 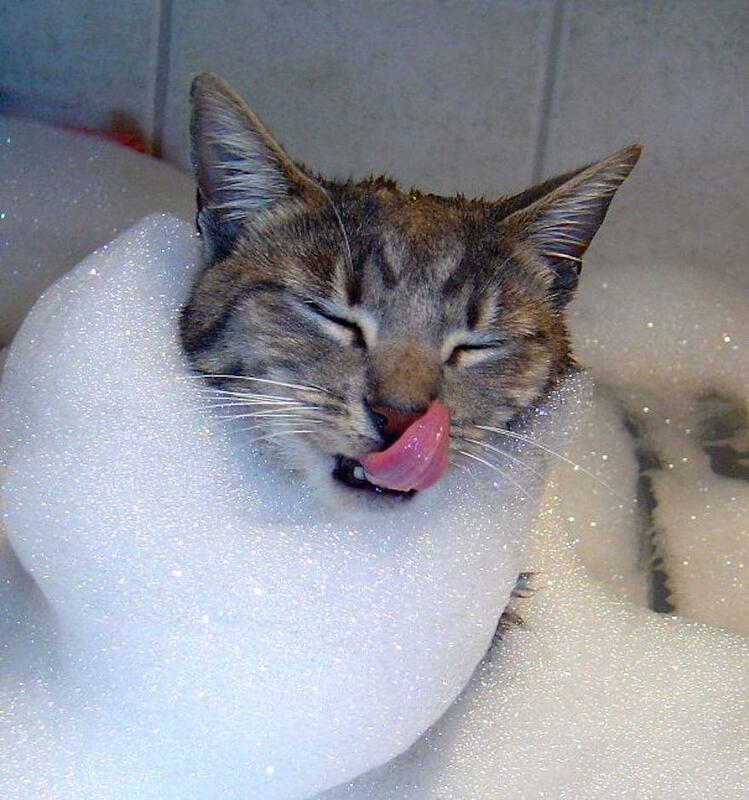 Nothing beats a cat bath than a warm bubble bath. As the song goes, “Love me like you do, Lo-lo-love me like you do”, this cat showcases how bathing is a perfect pastime by licking herself out of the bubble bath. Seems like this cat had nothing else to do but to enjoy having a cat bath or something else might happen. Is this cat angry or what? Obviously this cat had literally had a long face and a body as well. Bathing might not be his forte. Just going with the flow with what the owner intends to do. 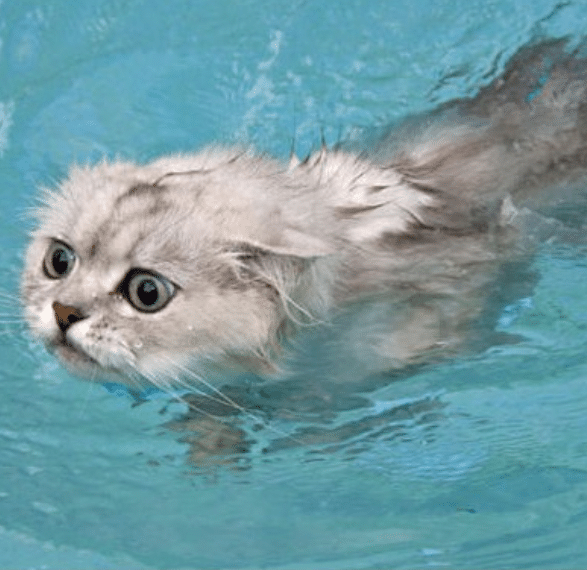 Some cats are not always afraid of the water, they are just cautious enough not to drown themselves. Testing the temperature of the water is one great idea. 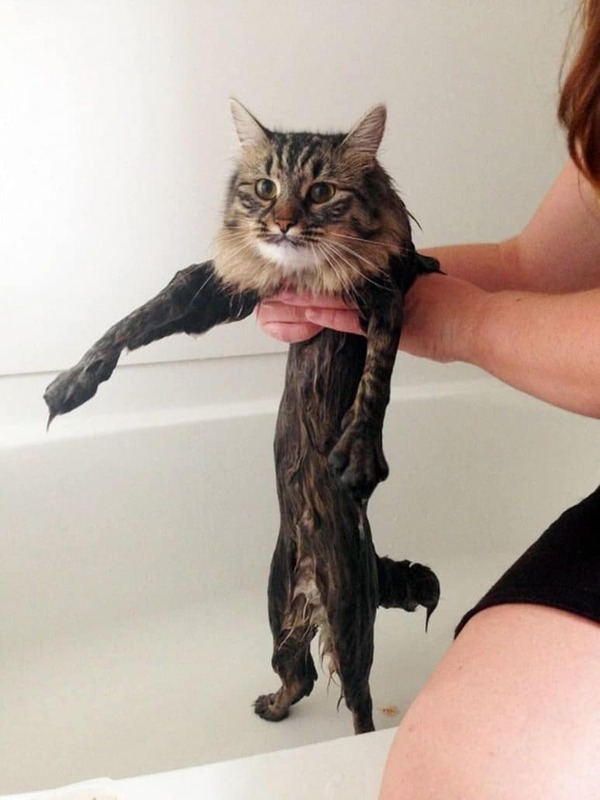 See how this cat tests the coldness or warmness of the flowing water before heading out for a clean cat bath. 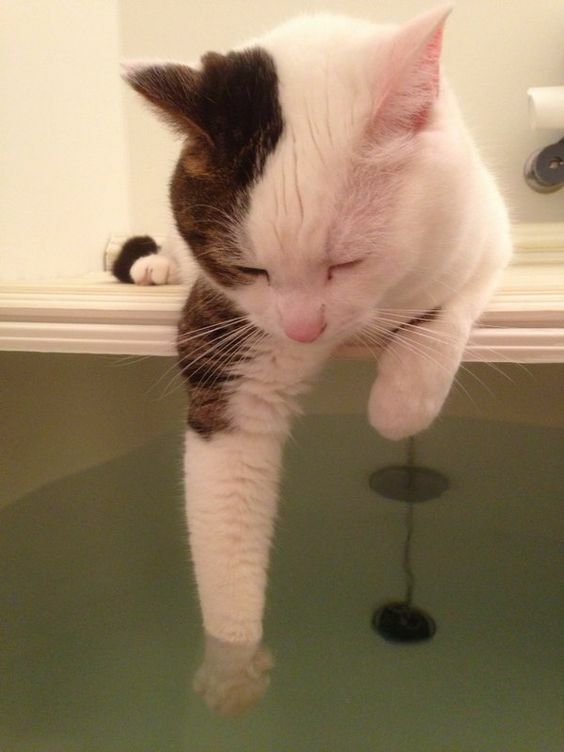 Holding a hard grip at the tub means this cat doesn’t love what is actually done to him by his owner. But what else can he do? Just to hold on to one bumpy cat bath that seems to last too long. 8. Swimming in cool waters A perfect cool bath into the cool waters might not be the coolest for most cats. Showing fangs is the sign some hate cool waters. This cat is too good to be true. Cat personalities are often unpredictable. 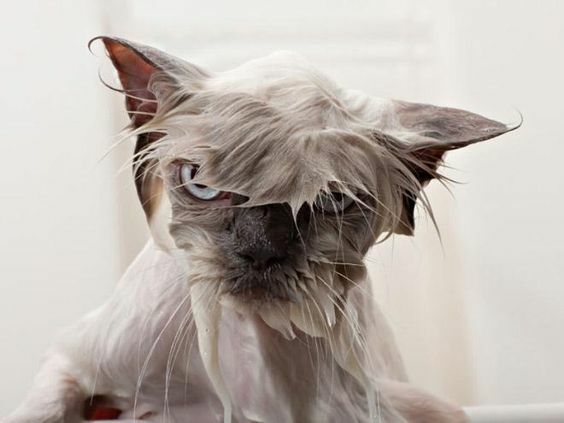 Showing those nasty looks, cats do have a good or hard time when they bath. Shower bathing for this cat is impressively cute to look at. Showing no signs of fright and nervousness, this one depicts a real bathing scene. Most wild cats enjoy being in the water since they are prone to its natural habitats that have hot environment and water keeps them cool. 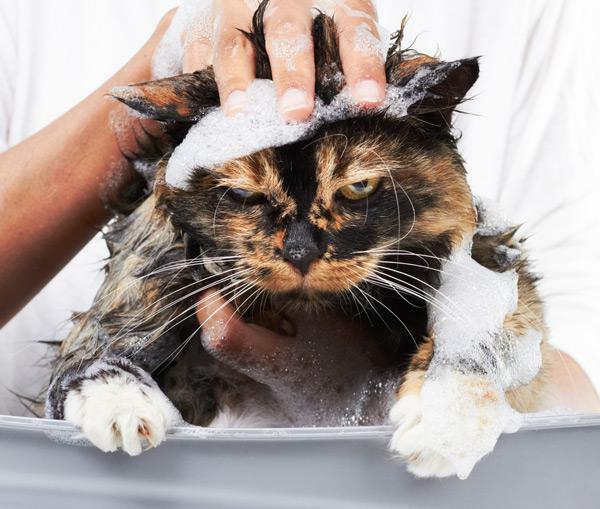 However, domestic cats with long hair breeds don’t love the water that much. This shows in most of the images above. Moreover, having long hair makes them difficult to dry them off thus, making them feel freezing to death. This is because the long hair doesn’t really deflect the moisture from the water, instead it absorbs them. 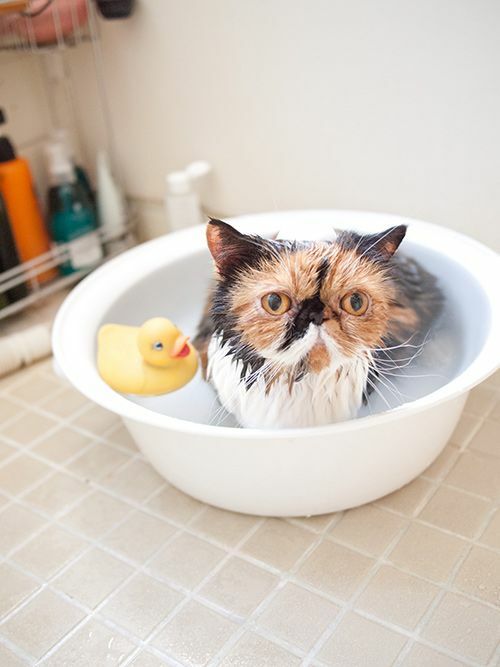 Always keep in mind, that in order to help your cat get used to the water is by scheduling regular cat bath at a young age. 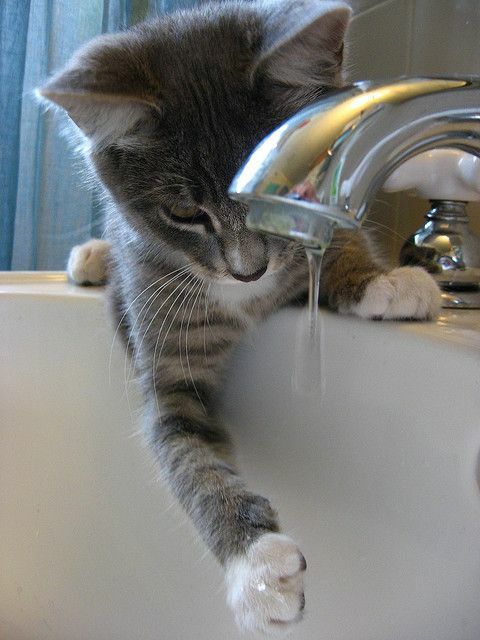 To begin, introduce the water to your kitten just by washing the feet first. Allow them to submerge all feet at the water. Let them get used to the water temperature. When they are no longer afraid of bathing, slowly wash and soap them. 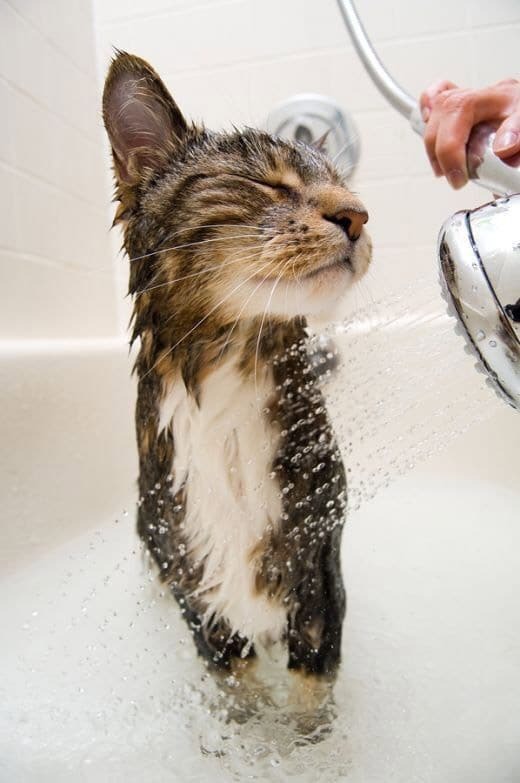 After a tiring day bathing your cat, give them treats for showing them that they did a great job. After all, grooming your cat can be one easy task that involves bonding with your cat.